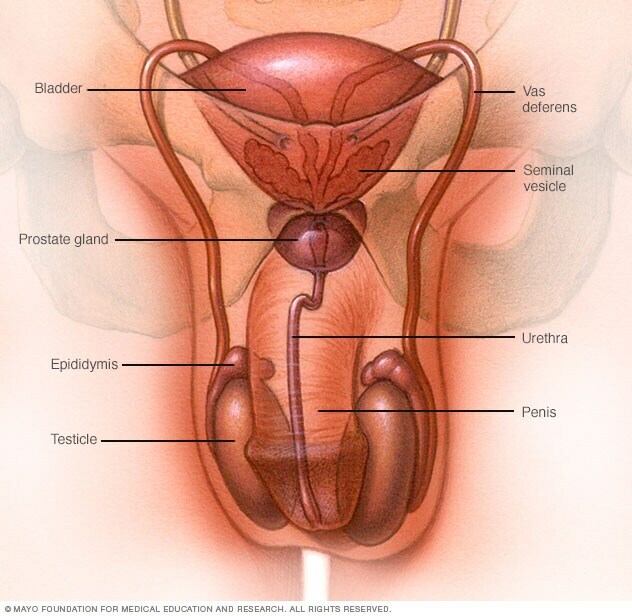 Epididymitis is an inflammation of the small, coiled tube at the back of the testicle (epididymis). Epididymitis that lasts longer than six weeks or that recurs is considered chronic. Symptoms of chronic epididymitis might come on gradually. Sometimes the cause of chronic epididymitis isn't identified. Epididymitis. Centers for Disease Control and Infection. https://www.cdc.gov/std/tg2015/epididymitis.htm. Accessed Aug. 21, 2017. Epididymitis. Merck Manual Professional Version. https://www.merckmanuals.com/professional/genitourinary-disorders/penile-and-scrotal-disorders/epididymitis. Accessed Aug. 21, 2017. Eyre RC. Evaluation of acute scrotal pain in adults. https://www.uptodate.com/contents/search. Accessed Aug. 21, 2017. Eyre RC. Evaluation of nonacute scrotal conditions in adults. https://www.uptodate.com/contents/search. Accessed Aug. 21, 2017. Rupp T, et al. Epididymitis. In: StatPearls (Internet). Treasure Island, Fla.: StatPearls Publishing; 2017. https://www.ncbi.nlm.nih.gov/books/NBK430814/. Accessed Aug. 21, 2017.